Yes, Cheap Health Insurance is Obtainable in South Africa - Here! In a country like South Africa, you need medical care – private medical care. Private medical care is excellent in this country but it can be expensive – too expensive for most South Africans. Fortunately, there is cheap health insurance available. If you require surgery, you’ll realise just how important it is to have some kind of medical care. That’s because having surgery and spending a week or two in hospital can set you back hundreds of thousands of Rands. 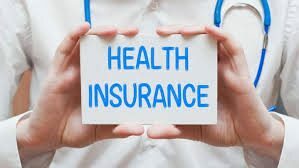 Fortunately the health insurance marketplace in South Africa offers some quality coverage that can work for individuals, couples and families. These health insurance plans all cover different services and benefits, and if you get medical care from a provider within your plan’s network, you’ll pay lower prices. The plans however need careful research because some offer additional health insurance such as dental and vision coverage, and this is important, particularly if you have a young family. Essential Med is one of these excellent health insurance providers in South African who can offer cheap health insurance in 2018. They came about in 2005, providing comprehensive and flexible health cover to all South Africans. Unlike a medical aid where you get to choose a plan closest to your requirements, Essential Med allows you to actually choose benefits that suit you. In other words, you have control over what you’re paying for, eliminating so-called benefits that you don’t want. Essential Med is constantly researching and developing new products which they believe can enhance their member’s medical cover. You don’t need to be a member of a medical aid to apply for health insurance from Essential Med. The insurer offers a low cost benefit option designed particularly for those who can’t afford medical aid. While Essential Med’s insurance is based on stated benefits and regulated by the Long- and Short Term Insurance acts, medical aid is based on tariff codes and regulated by the Council of Medical Schemes. Essential Med has a GP Network. This is useful as it means you don’t have to pay in any differences in charges like you do with medial aid. There is also no limit to the number of visits you are allowed. There is a quote that says ‘To acquire knowledge one must study, but to acquire wisdom, one must observe’. With observation you will have noticed that more and more South Africans are giving up their expensive medical aid plans and are taking advantage of more affordable cheap health insurance and seeing how much easier, cheaper and effective it is.